Fourth-graders helped package meals for the upcoming Thanksgiving holiday. 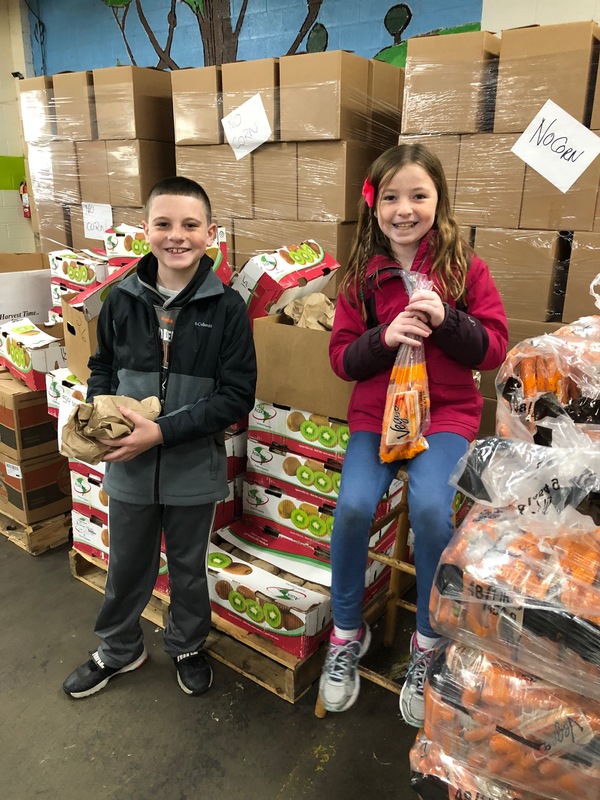 On two days in November, Manoa’s fourth-grade students went on a field trip to SHARE, a nonprofit organization that distributes thousands of pounds of food to the community. Before taking the trip, classes discussed the importance of teamwork and the importance of helping the community through community service. Fourth-graders helped package meals for the upcoming Thanksgiving holiday. They were in charge of packaging fruits and vegetables including oranges, sweet potatoes, white potatoes, apples, kiwi, carrots and onions. They checked each box to make sure they were complete, closed them and stacked them on a palate, ready to distribute to the community. The fourth graders had to work together when they packed and moved boxes. Fourth-graders also helped weigh onions and bag them for future packing into boxes. Students were happy they were able to help the greater Philadelphia community during the Thanksgiving season.